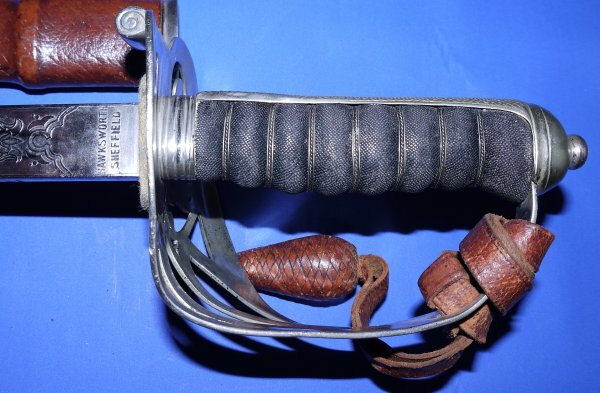 A WW1 / George V British Rifle Regiment Officer's Sword by Hawksworth, Sheffield. 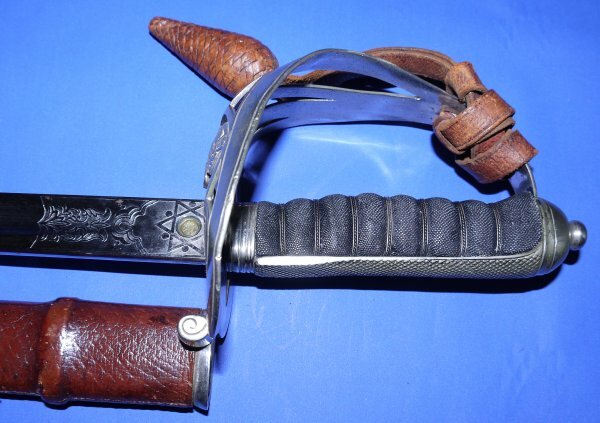 A nice Sheffield made WW1 era rifle regiment sword. 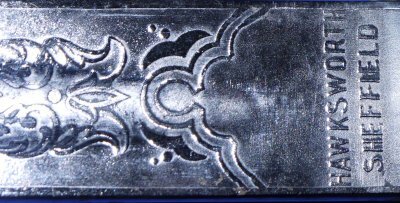 Some damaged (denting) to hilt which may well be rectifiable. Otherwise a good clean sword. The 32 inch blade is faintly but nicely etched and firm in the hilt. The hilt / guard with some knocks but otherwise overall good. Grip in good condition. 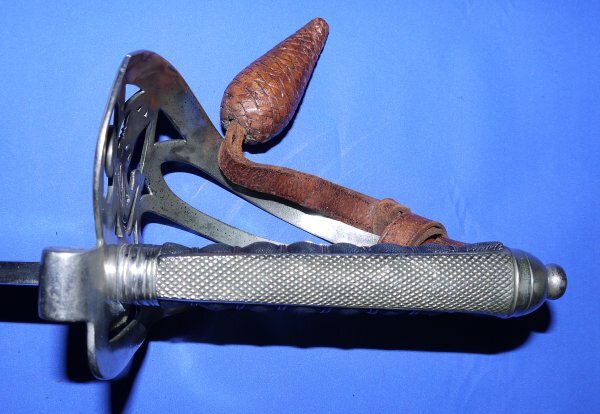 Leather knot and scabbard a little aged with some wear but overall both good. The sword sheathes and draws well. 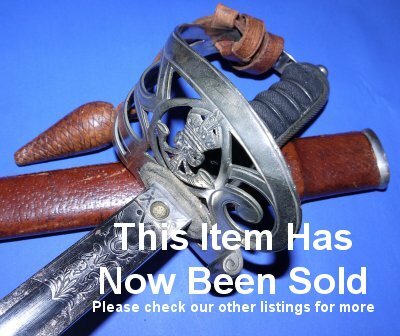 Nice sword, good price; £325. Please quote item reference R81. Further / full sized images available upon request. Box 0561-1.18 (2.267).